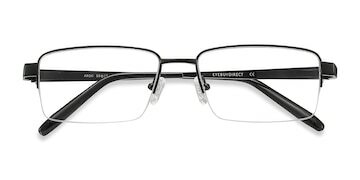 Thin and smart metal frame with thoughtful details. 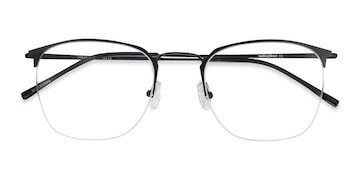 Sharp look with squared lenses surrounded by a thin minimal semi-rimless border. 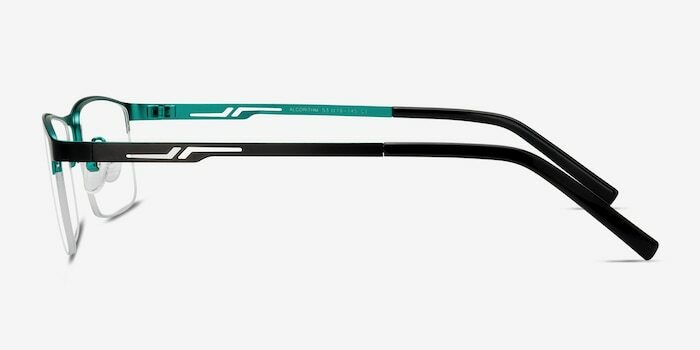 The temples have a beautifully designed architecture-like pattern and acetate finish on the temple tip. 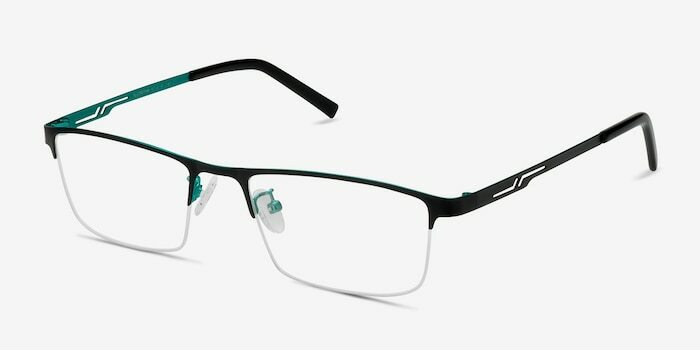 Black matt color with a subtle turquoise lining on the inside of the temples and the bridge bring out a hint of color to your life. 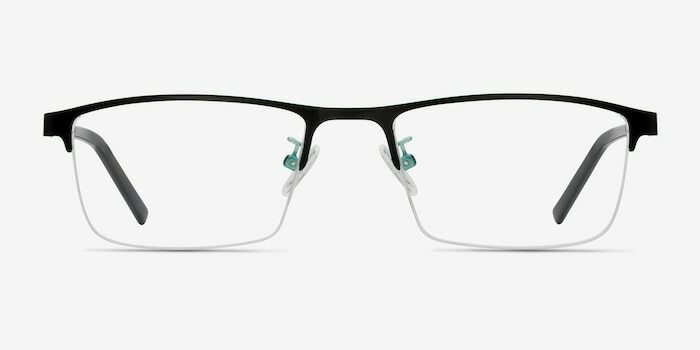 My glasses are perfect! 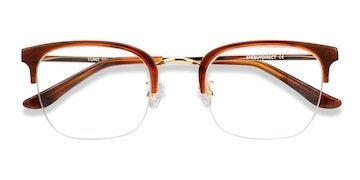 And I ordered the "transitions" lenses. I love them! The service was faster than I expected, too. A good experience. 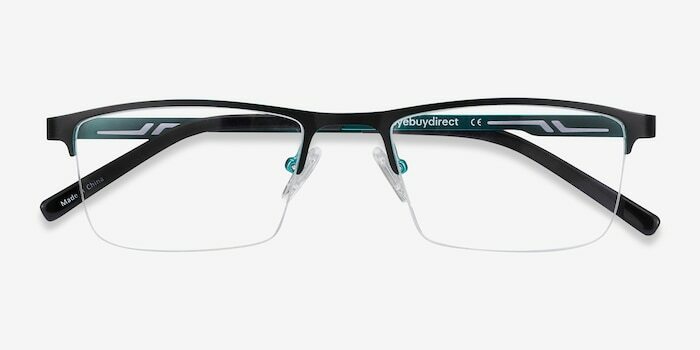 Excellent price, great quality and they look good. Absolutely recommend. Durable and lightweight, fit like a glove.